I’ve held off for a good long while to post this. Mainly because other things have gotten in the way, but also because I think I needed to take a good amount of time to reflect on my 5 years at Obsidian Portal, and in the tabletop “industry” in general before broadcasting my thoughts. So, for those of you who don’t know or may have never known, I was the Community Manager & Content Director for Obsidian Portal up until August of last year. I had a great time working there, it was the most fun job I’ve ever had and I learned a lot while I was there. I still consider the site’s founder, Micah, to be a good personal friend of mine. I got to interview R.A. Salvatore, give speeches for awards we’d won, meet hundreds of new friends at Gencon over the years, and make a living from something I was passionate about. No regrets. As a bit of backstory to those who may wonder, the reason for my leaving was not something I took upon my own volition. After Micah had decided to part ways with the site I remained on board to serve as a spearhead to help the direction of the site and shape its future, or so I thought. Unfortunately after several months I was let go abruptly, and without warning by the site’s new owners. They didn’t understand my position, our community, our product, or really our vision for the site. Just know that we didn’t see eye to eye, which is unfortunate, but it is what it is. I had also intended on keeping the Haste podcast up and running in some form, but unfortunately that didn’t work out either. As I see it now, it seems as though the site is sinking further into despond. I regularly receive emails from old community members telling me things are getting bad and they wish I could somehow swoop in and fix things. I cannot, and unfortunately I can’t say I didn’t see this all coming. It really bums me out. I digress though, as I don’t want this to be a post that is something that’s negative. So, I’ve always dabbled in game design and writing for my favorite games, during my time at Obsidian Portal I never got as much time for these endeavors as I’d have liked. Always working a full time job in addition to the 10-20 hours a week I put in at Obsidian Portal left little time to develop my writing beyond blogging and the occasional Kobold Quarterly piece. Since leaving I have worked alongside with a few of my favorite folks in the industry to work on developing adventure modules for D&D, and Shadow of the Demon Lord for use at conventions such as Gencon and Winter Fantasy. I believe this all started with a piece I wrote called the Menagerie of Mischief, which was completely system neutral but can be found inside the Trapsmith book for Pathfinder RPG or as a series of 4 articles on the Kobold Press site. This piece was chock full of goodies for rogues, thieves, and others with questionable professions. It came highly inspired by some of my favorite tidbits of the fantasy worlds I grew up with, and a life-long dedication to all things cloaked in shadows. 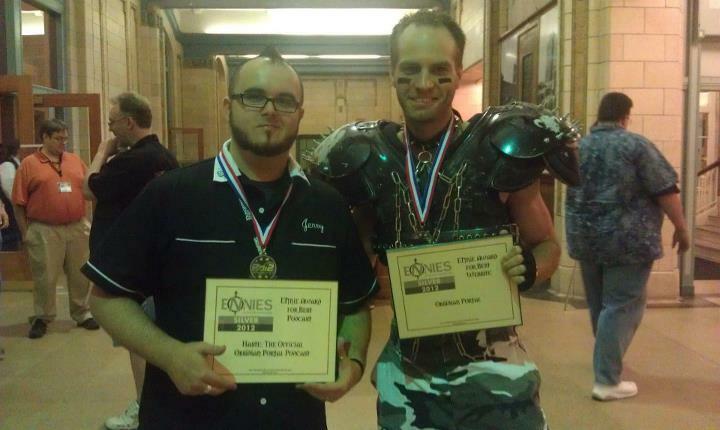 Afterward I was pleased to work with Kobold Press again to write a 5th edition Dungeons & Dragons adventure for use at Gencon 2015, it was a lethal Egyptian-styled tomb crawl, a lot of fun to write and run at a show (or as a one shot). 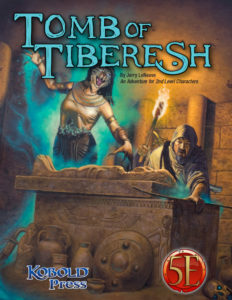 Originally titled The Alabaster Tomb of Tiberesh, it was so well received that it later became the Tomb of Tiberesh, and was produced as a fully fledged module. I worked with Ben McFarland and Wolfgang Baur to develop it, and Steve Winter edited as editor – who massaged my words into something truly amazing. Currently you can pick it up for just $3 and it’s already a silver best seller! 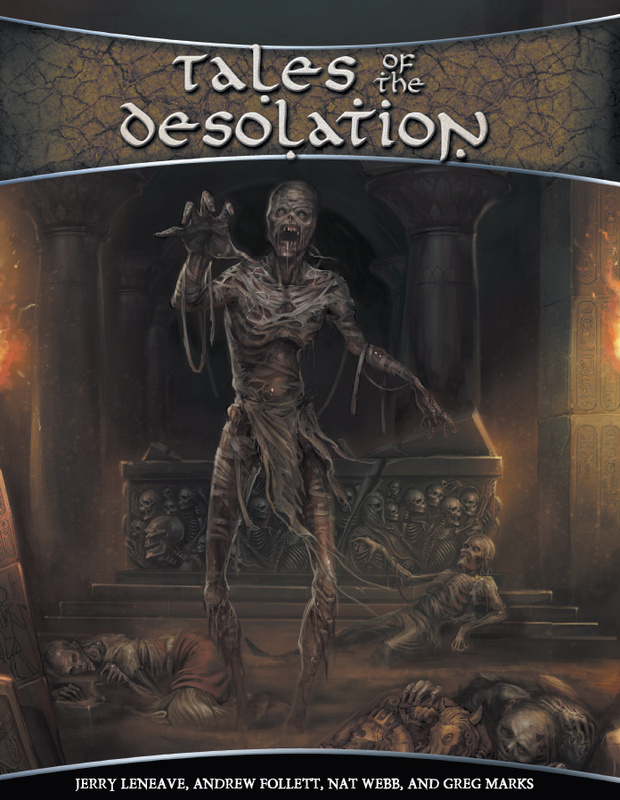 Most recently I have worked with my friend, mentor, and spirit animal Rob Schwalb, of Schwalb Entertainment along with a few other folks to create a series of adventures that zooms in on the wasteland region of the Shadow of the Demon Lord world, The Desolation. 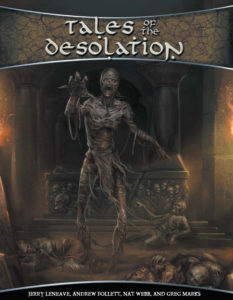 Tales of the Desolation is the end result, a tale of disease, vampires, and certain doom that takes Demon Lord characters from beginning levels all the way up through the ranks for an epic story that really showcases the world and game mechanics. Shadow of the Demon Lord, since its launch has quickly wedged itself into my #1 slot for tabletop RPGs, I have been regularly live streaming it every Tuesday night for some time now, and I have a long overdue review of the game coming soon. I have also achieved a “bucket list” item of writing not only for Wizards of the Coast but also for the Ravenloft setting, my adventure The Executioner has been being run at PAX and Garycon and has received some pretty positive feedback, despite the poor ratings given by some reviewers. I’ve been working to rectify the issues people have with the adventure by having a revised version published already, and am currently still at work on proofing a 3rd pass. I started streaming on Twitch about 2 years ago, starting with Neverwinter / DayZ and since then I’ve evolved and focused the hobby into something I really enjoy. At first it was just because “hey, another nerdy thing I can do to spread my love of gaming” but has since turned into a genuine pastime and I’ve built a small community around it. “Watching people play video games” seems silly to the inundated, but it can really take a gaming experience that may be more or less solitary, and turn it into a social experience. Kind of like sitting on the couch surrounded by friends as you all play a game. I’ve since abandoned streaming on Twitch because it’s filled with ignorant children, racism, sexism, and basically the worst kind of people. So now my streaming home is on Beam, its an up and coming streaming platform with a great community. I’m currently working out a new streaming schedule as I’ve recently had some major life changes (new job, and my father unexpectedly passing away) but once the dust settles, if you’re interested you’ll be able to see my new schedule and catch me live at live.dreadgazebo.net. I’ll be doing a variety of streams, not just video games either, we have a tabletop night every week where we’ll be playing Shadow of the Demon Lord, D&D, and perhaps other games. I’ll also be re-stoking the podcast flames in a new format, with new co-hosts, but we’ll still be covering all things gaming but maintaining our focus purely on video games and tabletop RPGs and board games. A spiritual successor to the Haste podcast with my Zero Ping gaming crew, no fancy titles or ideas for any just yet. That’s it for now. Thanks for reading folks, and until next time, game excellently with one another! 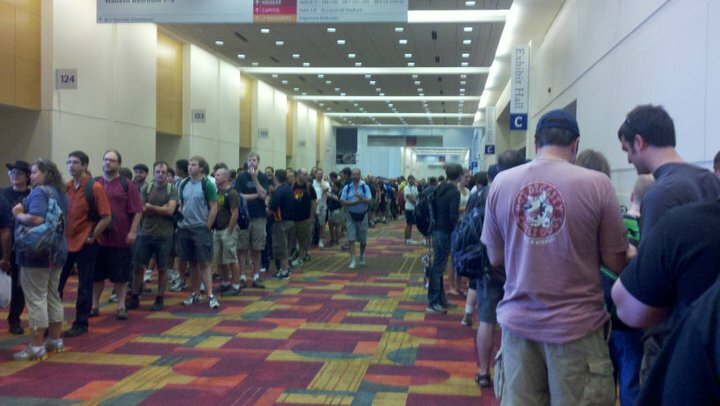 Bringing Your Kids To Gencon For The First Time? Read This. 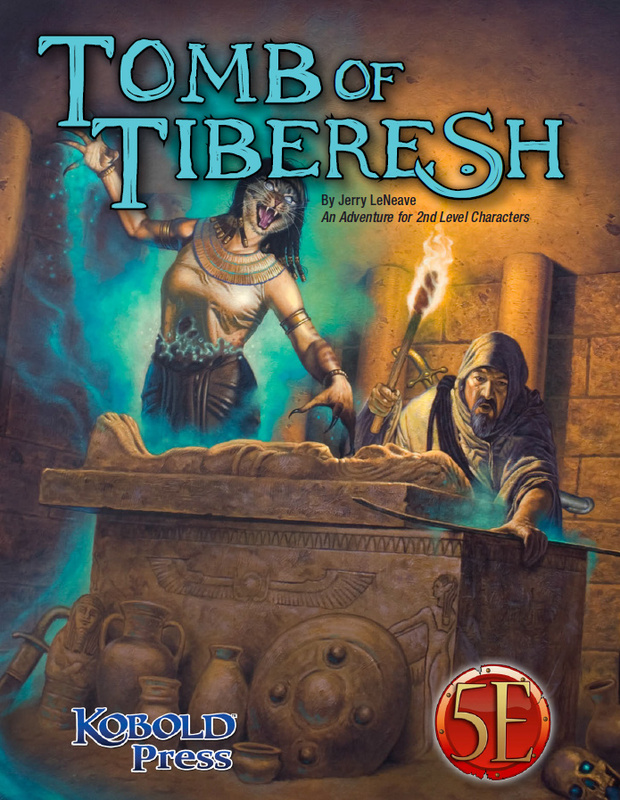 Great stuff – enjoyed Tomb of Tiberesh and glad to hear you’ve got more freelance stuff in the works!